How to Get a List of Updated Contacts from Hubspot? It is possible with Import2 Wizard filtering feature on export from Hubspot. 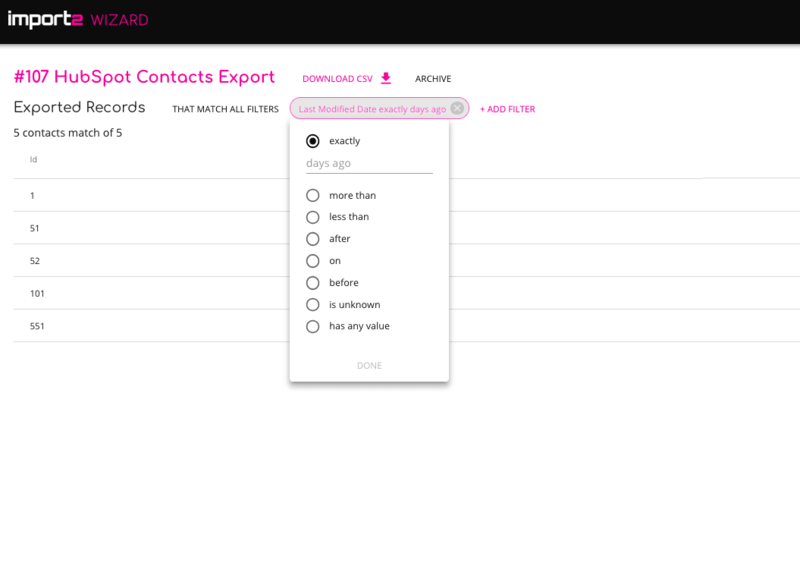 Start a new export by selecting the Hubspot tool to export from, and the type of records - “Contacts” you want to export. Download the data to CSV. You can filter contacts you export by “Last Modified Date” there you can specify the criteria you need (you have the option of choosing which fields to include in the export in this step if you wish).